DUBLIN (AP) — European Union foreign ministers displayed their divisions Friday over whether to start shipping weapons to rebels in Syria, with Britain and France isolated in their efforts to boost the opposition's firepower. The two-day talks opened in Dublin Castle just hours after a suicide bomb killed at least 49 people in a Damascus mosque, including a senior cleric loyal to Syrian President Bashar Assad. Both Assad and the major opposition group, the Syrian National Coalition, condemned the attack. British Foreign Minister William Hague said the European Union's policy of providing only non-lethal equipment to the National Coalition must end if Syria's primary opposition forces are to oust Assad from power. 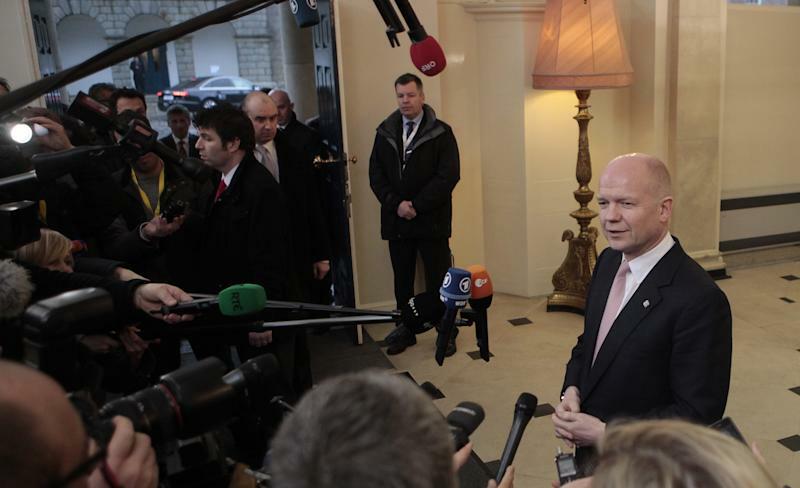 "In order to support a diplomatic and political settlement which is essential for peaceful transition, it will be necessary for us to increase the support that we give to the National Coalition on the ground," Hague said in comments mirrored by his French counterpart, Laurent Fabius. 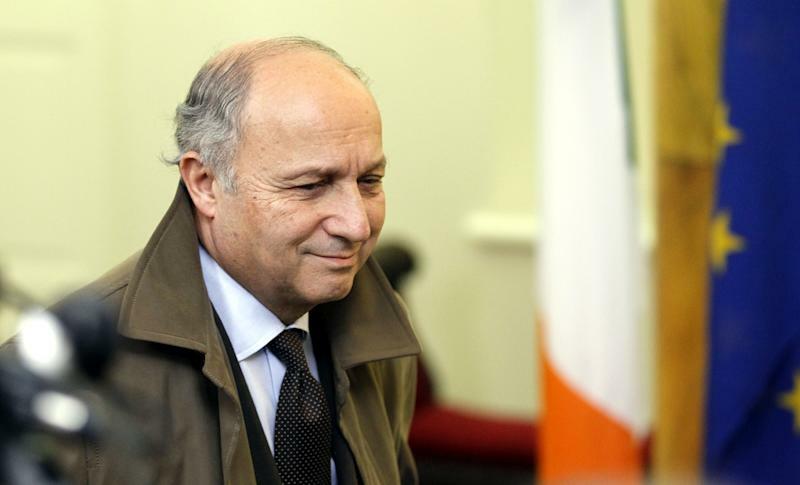 Fabius said EU governments must agree on "how to stop Bashar Assad from continuing to bomb and massacre the Syrian population and the opposition." But the other 25 EU ministers rallied behind the cautionary views of Germany, which argues that increased aid to rebel-held areas should be confined to improving their access to water, power, food and medical care. German Foreign Minister Guido Westerwelle said he accepted that Britain, France and the U.S. had "good reasons" for wanting to increase the ability of opposition forces to defeat Assad's military following two years of civil war. 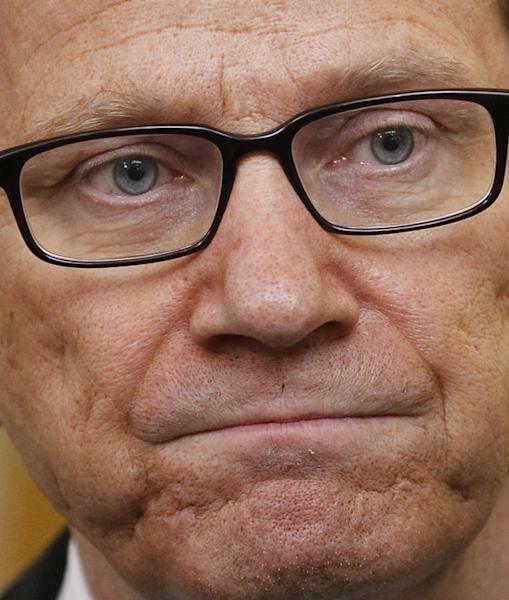 But he warned that sending weapons was likely to have unintended and negative consequences. He said more civilians would be killed in crossfire, and Western-supplied weapons could end up in the hands of anti-Western jihadists, who are being blamed for Thursday night's mosque bombing. "We are still reluctant on lifting the arms embargo," Westerwelle said, adding, "We have to avoid a conflagration and we have to prevent that aggressive offensive weapons come into the wrong hands." Several other foreign ministers publicly backed Westerwelle's reservations as they entered the Dublin Castle talks, which conclude Saturday. All emphasized that the EU would not consider easing its arms embargo on Syria until the end of May, when the existing restrictions are due to expire. Foreign Minister Eamon Gilmore of Ireland, the current holder of the EU's rotating presidency, said European governments should focus on providing humanitarian aid, particularly medical help, to opposition-held parts of Syria. "I think that the further militarization of the environment in Syria would certainly not be helpful. The more guns that go into Syria ... the more casualties there will be," Gilmore said. Hague said Britain and France reserved the option of moving ahead on their own, but would greatly prefer to have a united EU position. EU foreign ministers last month did amend the bloc's embargo rules on Syria to permit shipments of non-lethal equipment to rebels. Britain and France have begun shipping armored cars, night-vision goggles, body armor and other overtly military equipment under terms of that amendment. The relatively lightly armed anti-Assad forces say they most desperately need ground-to-air weapons to deter Syrian government air strikes and helicopter gunships, as well as increased access to anti-tank weaponry. Iran is considered Syria's primary arms supplier. The United Nations estimates that more than 70,000 people have been killed in the past two years of fighting in Syria, a country of more than 22 million. Hundreds of thousands of refugees have fled to neighboring Turkey, Jordan and Lebanon.